Move over Sherlock Holmes, we have a new super sleuth in town. This book is the first in a new series by Sarah Todd Taylor. 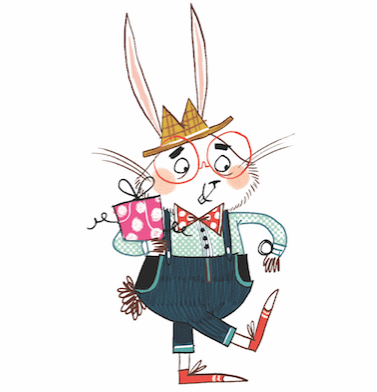 It's a lovely illustrated affair produced by the talented illustrator, Nicola Kinnear. Full of lively black and white illustrations throughout the book, it is laden with character and irresistible charm. The book will leap from the rooftops and land in the shops on the 1st of March 2018 and will be published by Nosy Crow. This a fantastic little story for animal lovers and wannabe actors. It's a great detective story told from the perspective of a pampered, yet lovable, cat called Max. The story will entice younger readers from the age of five upwards into a vivid world of the Theatre Royal in London. 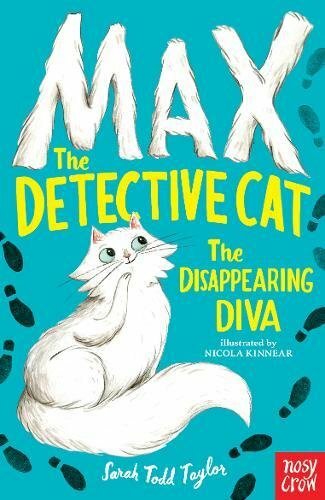 The story starts out with Max, the cat, living the life of royalty eating salmon souffle and receiving tummy tickles aplenty, whilst living in the most fashionable townhouse in London. Unfortunately, things soon go rapidly wrong for Max. His life changes from souffle to rats in a blink of an eye. Abandoned and left on the streets of London, Max sniffs out an adventure that may involve the purr-fect crime. He paws his way into the Theatre Royal to uncover a fiendish plot that is very imaginative and highly captivating. The crime-busting puss has to solve a mystery to save his new theatrical friends from being tricked and deceived. The theatrical scenes in the book are very engaging. In fact, they are inspired by the author's love of the theatre and acting. I loved the ensemble of eccentric characters in this book and Max's newest friend, a street wise cat called Oscar. They relive the events from the rooftops which enables Max to think and work things through. It really is a great family read which captures theatre life, especially that of the backstage. This is a lovely and endearing plot that will make you chuckle regardless of age. You will love the craziness and mayhem that ensues and be hooked right until the last page has been turned. It is a brilliant start to a series and a fantastic read, especially for young readers. In my opinion, this can be a really difficult age range in which to find great engaging reads. Especially those that light up young children's fantasy imaginations and keep them reading, so many congratulations for such a great book. I'm really looking forward to the next act and hope the performance will continue to be so enthralling.